the idea of this wesian (western + asian) dish was spawned one day while we were enjoying lunch at a cha chaan teng in sai kung. one of the specialty at this local cafe was the shrimp paste fried rice. half way through the plate, it dawned on us that we can recreate this dish at home, but with our own twist. 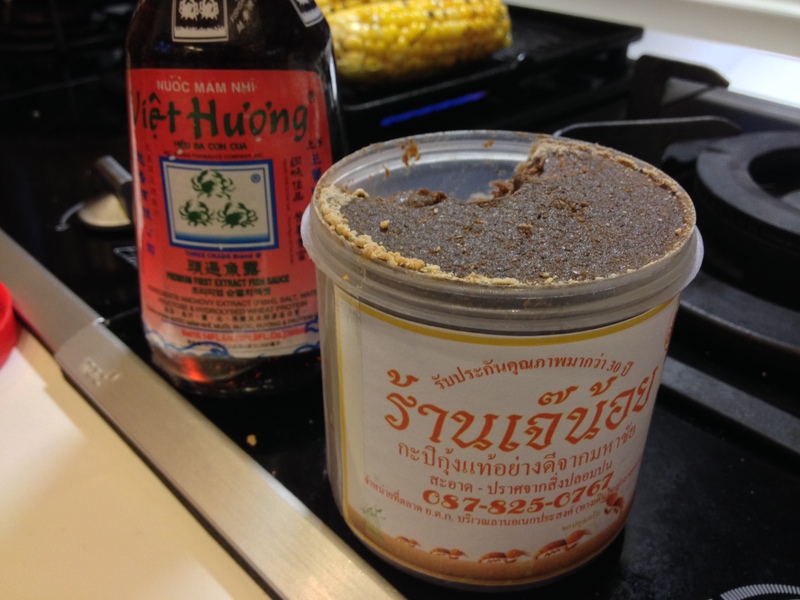 and that twist is to combine the flavors of southeast asia with an italian method of cooking rice. 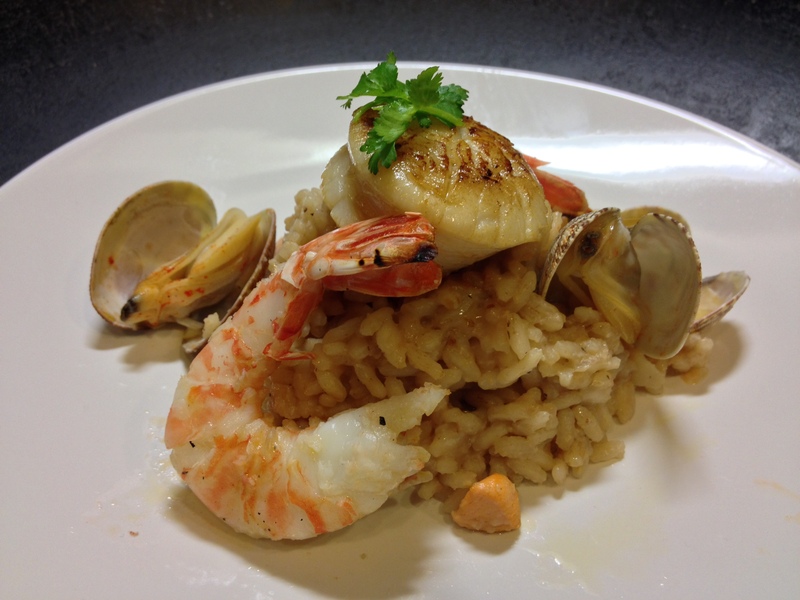 a good risotto is a labor of love… it requires constant attention. 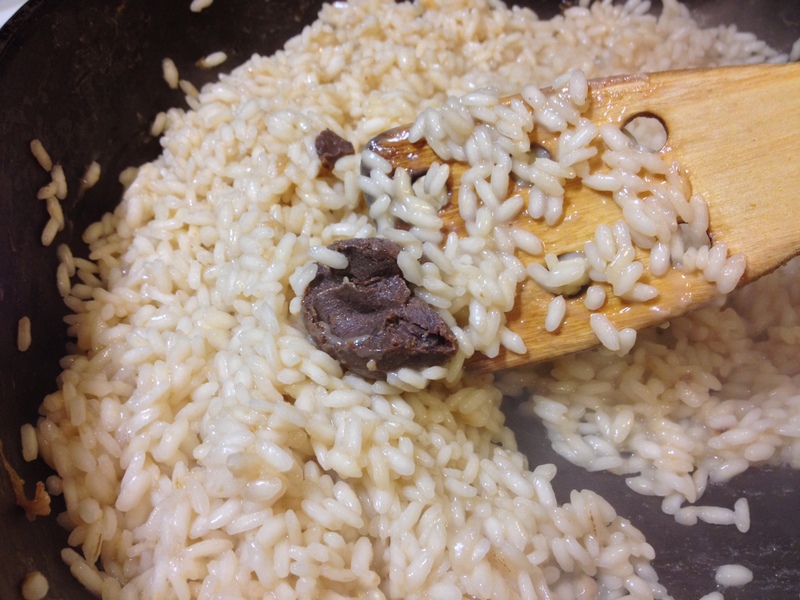 building a tasty stock is essential, because that is the major source of flavor for the rice. 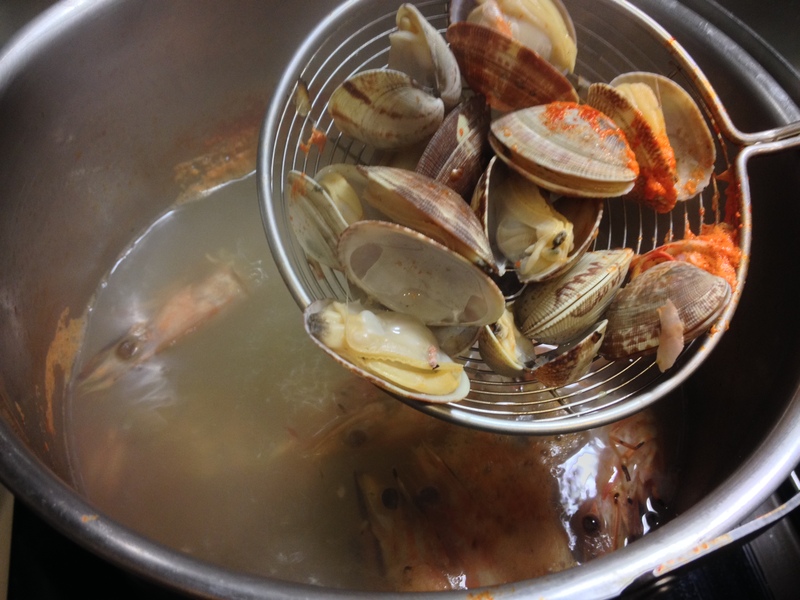 we used prawn heads and shells and fresh clams to create the stock. sure, you can use bottled clam juice, but the beauty with using fresh clams is that you get to eat the tiny morsels afterward. 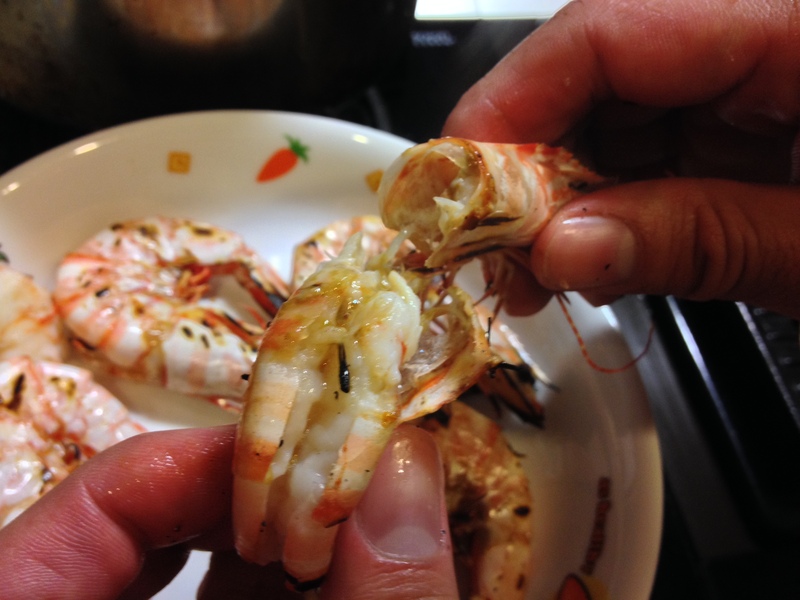 we grilled our prawns first before throwing the head and shell into the stock… this adds an extra element of smoke. but you can skip this part if you don’t wanna bother. the amount below serves 3 people. that’s because the night we made it, priscilla’s dad was out of town so he didn’t get to enjoy this yummo creation… sorry! 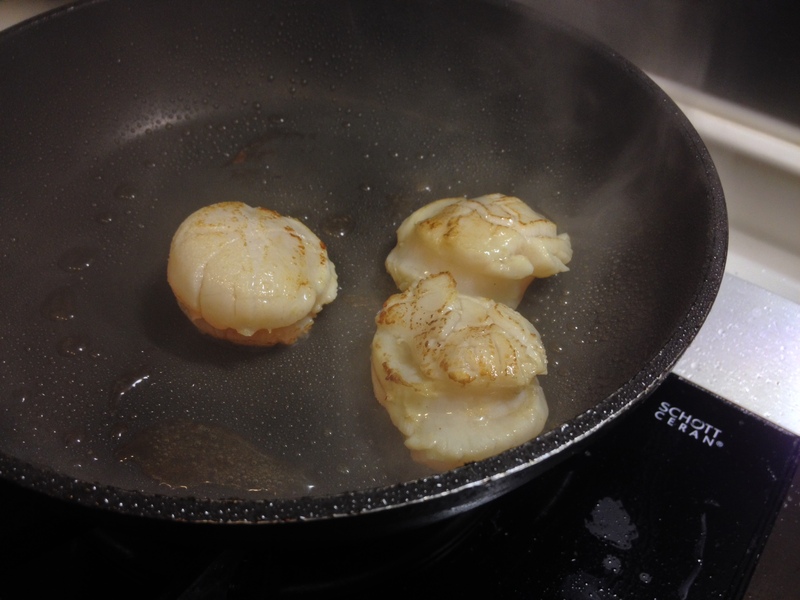 we’ll cook it again soon. 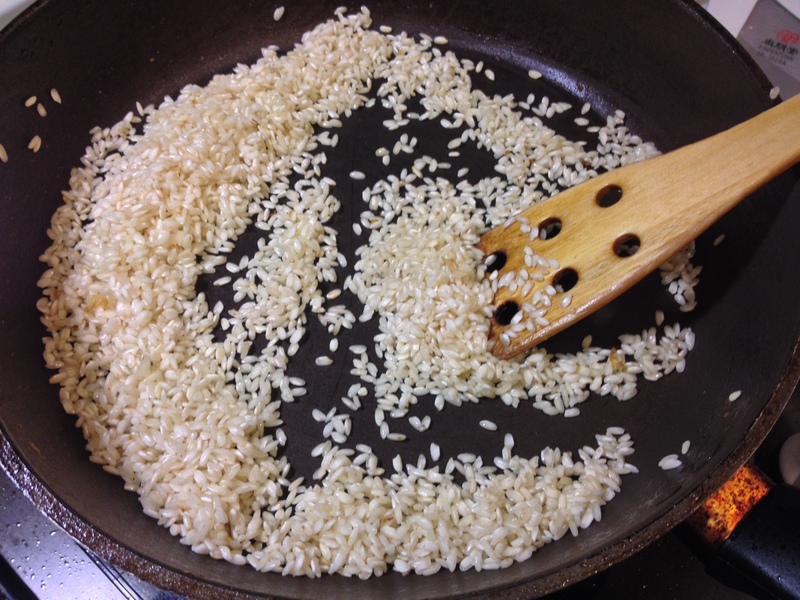 we calculated that 1/2 cup of rice would be enough for 1 person. we didn’t add white wine while cooking the risotto, but we’ll try it next time and see if that will brighten up the flavor. That looks great. Nicely made. I could probably eat 5 of those plates haha. How was it? we ate 2 plates each ourselves. wish we made more haha. You’re perfectly right. 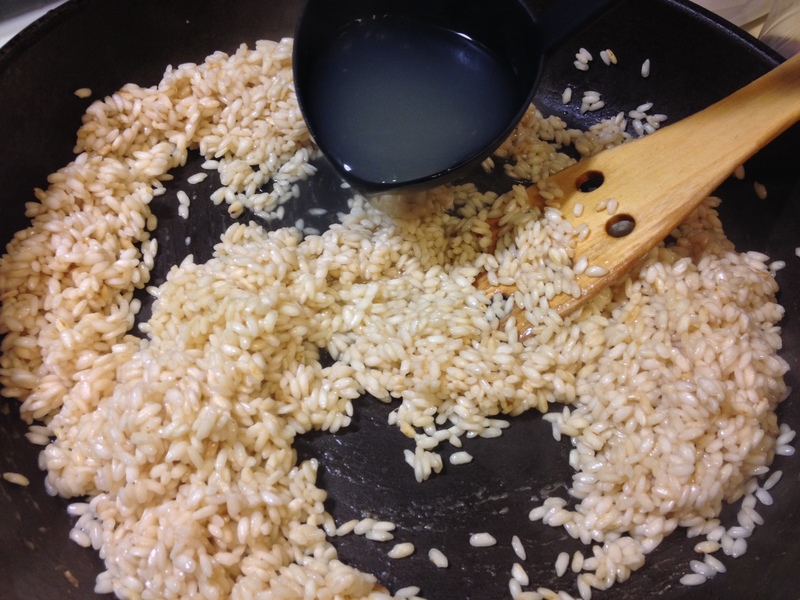 Risotto is a labor of love at patience. But if you make it with passion it will give you back a great satisfaction! Your risotto seems to be really tasty! Wow so lucky that you guys get to enjoy fresh seafood for an affordable price. Not so here! Also what is a cha chaang teng? cha chaan teng literally translates to “tea restaurant or tea cafe”. they serve cheap local hong kong food. it’s similar to the american diners. Oh Hong Kong cafes? I’ve been to some here in CA. yeah they have a bunch in the san gabriel valley, where i used to live. Haha! That’s where I went too! Maybe we were at the same place at the same time. could very well be, my favorite was sunday cafe on valley blvd. used to go to gardens a lot back in the days. yup! been to those two as well. 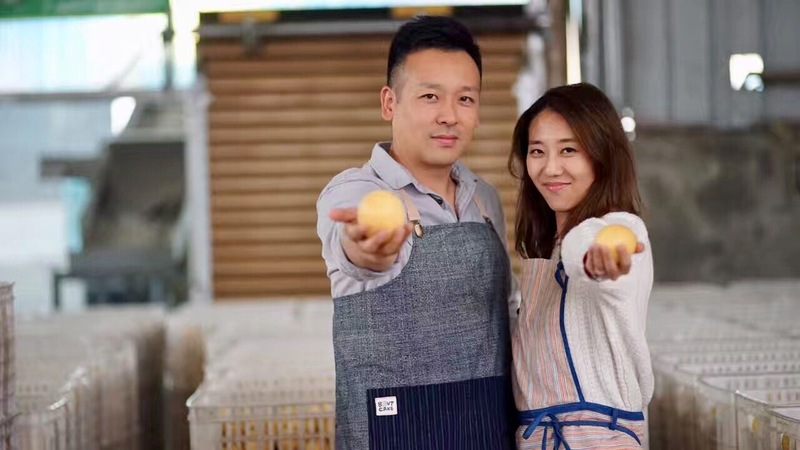 actually the food in those places are better than the ones in hong kong. portions are bigger and somehow, it’s tastier. haha so true! maybe i should move back for that reason. Why did you move to Hong Kong? Just wanted to live somewhere different. I was raised in LA for over 20 yrs. and most of my friend already have kids. So I wanted to explore the world a bit before settling down. How cool! How do you like it? I want to visit someday and eat all the yummy street foods! Someday! This looks wonderful, on my to-do list!! !